Allergy testing applies a number of tests to find out the cause of sensitivities the body may have. Migraines, back ache, headaches, bloating, skin or menstrual problems may be linked to a sensitivity or allergy the body has. 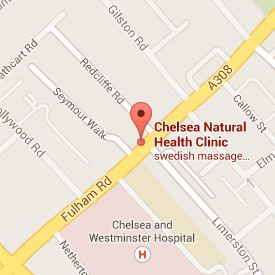 Until recently Charles Powell practised from Culpeppers on Fulham Road but we are delighted he has since joined the team at Chelsea Natural Health, SW10. He is available for consultations on Mondays but only by prior arrangement. Please feel free to contact Charles on 07930281643 or use the form above to discuss the benefits of Medical Herbalism and appointments.